The Olive Drab Rothco Plainclothes Concealed Carry Vest takes the outdoor travel vest with pockets to the next level with over 20 different pocket compartments designed for everyday carry and concealed carry. Built from a durable cotton/poly fabric. 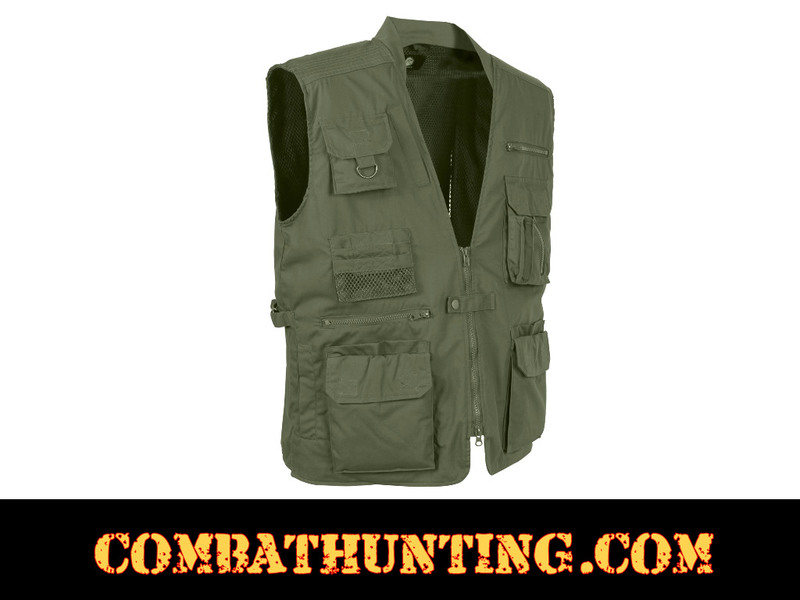 Rothco Concealed Carry Vest features two large CCW pockets on each side of the vest designed to comfortably conceal a firearm or valuable personal belongings such as tablets and smartphones. In addition, the interior of the convert vest features four easy to access mag pouches (two on each side) with secure hook and loop closure. 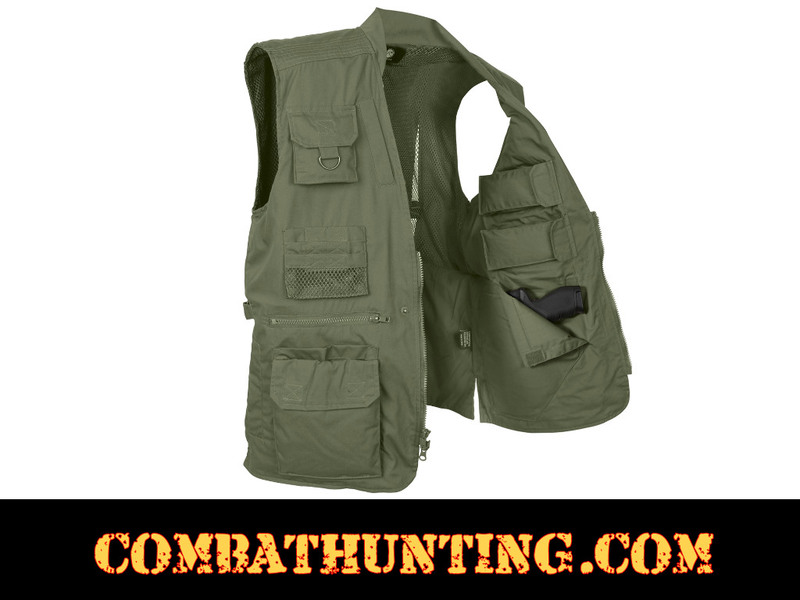 The outside of the tactical vest is equipped with 16 pockets with zipper and hook and loop closures designed to carry all your essential gear. The right front chest pocket features a tab with a D-Ring. The back of the concealed carry vest also features a large cargo pocket with hook and loop closure. A vented back with mesh lining will keep you cool under the most demanding situations, and the adjustable side waist tabs allow for an optimal fit. Rothco Plainclothes Concealed Carry Vest is the perfect everyday tactical vest.